Picador packaging and POS CAD software is a full range of CAD software to design cardboard packaging and point of sale display material (structural and parametric design, CAD drawing, automatic 3D folding, product/packaging assembly, 3D animation, data sheet, cutting table control, standard library, CAPM-ERP integration (ActiveX, .NET, XML). – Geometrical functions for packaging design (Geometry, Construction, Quotation, Hatch, Text, Image). – Study and Production functions: Data Sheet, Calculation (Surface, All out, Nets). – Imbrication, Imposition, Tools (Cutting, Slotting, Perforating), Cardboard Format, Plotter Output, Image Insertion, Digitising. – Draw and Parametrical Design. 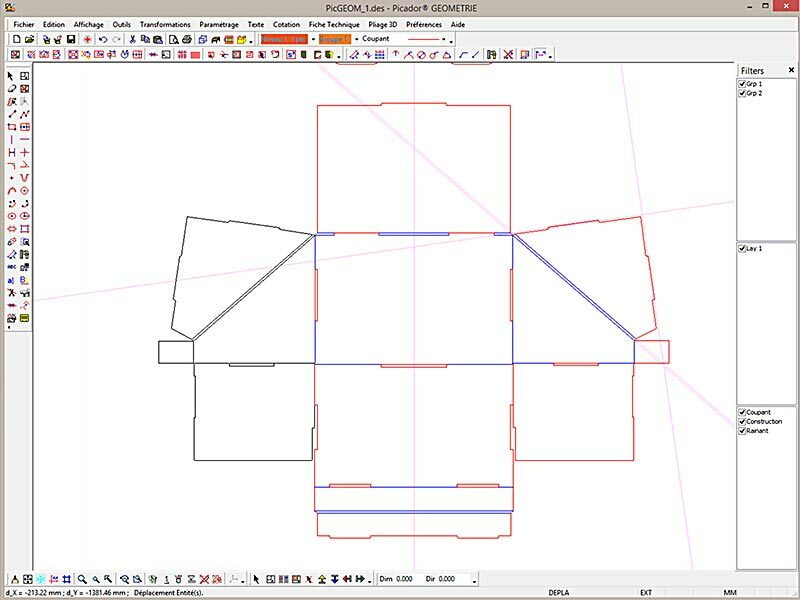 Conversion of an existing drawing into a parametric model. – Several Standards Libraries you can resize at your own convenience (FEFCO, ECMA, POS, Packaging). – Additional Diemaker tool: Bridge, Cutting width nets (points), Wood format, Easy set. 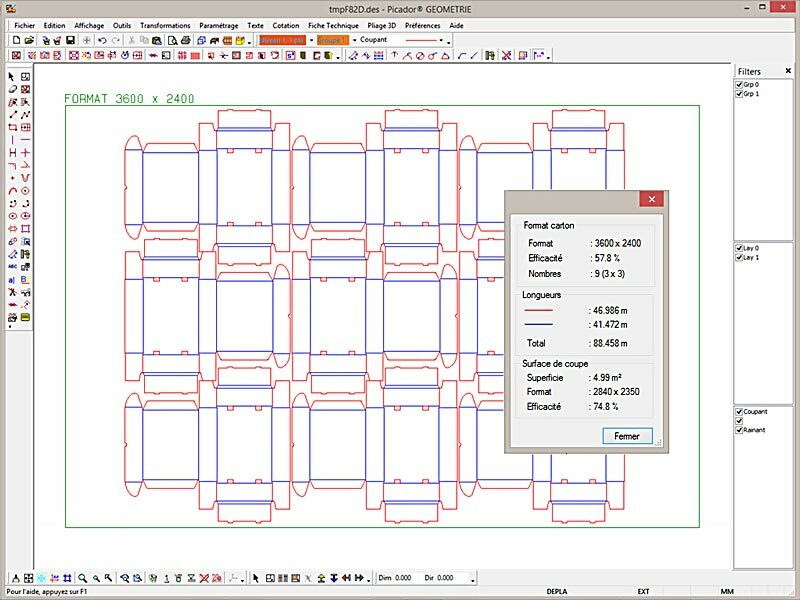 – Import/Export: PDF, EPS, Ai, CFF2, DDES, DXF, DWG, IGES, Hpgl, Diecad (.N). 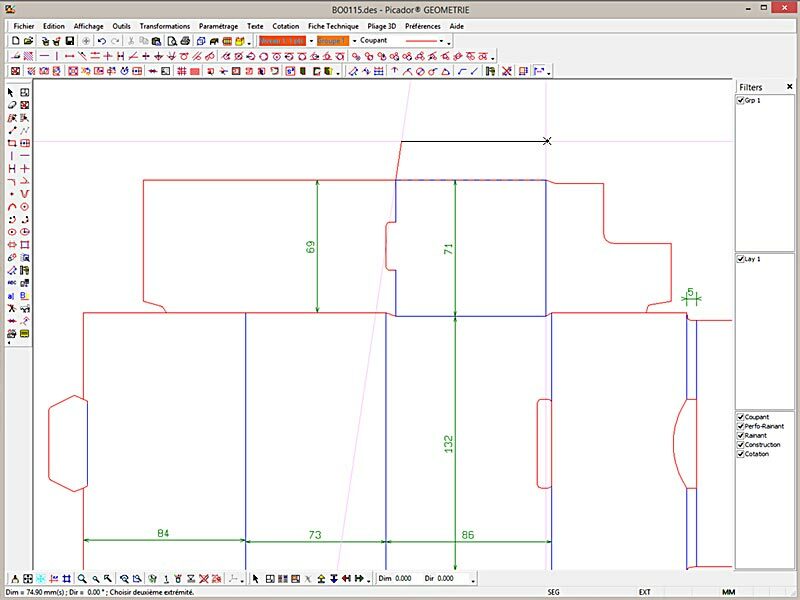 For a quote on Picador packaging and POS CAD software please send us your contact details and we will get in touch with you soon.